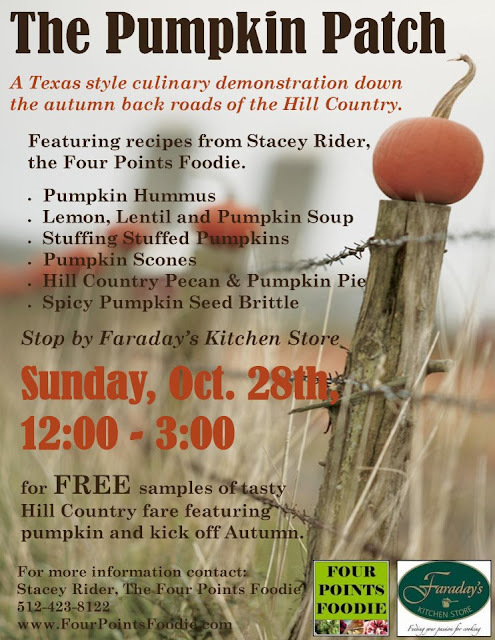 The Pumpkin Patch, a Texas style culinary demonstration down the autumn back roads of the Hill Country. Stacey, I saw you at Faraday's and tasted your wonderful Pumpkin Pie. I thought you said that it had freshly ground nutmeg in it. I don't see nutmeg in the recipe? ?